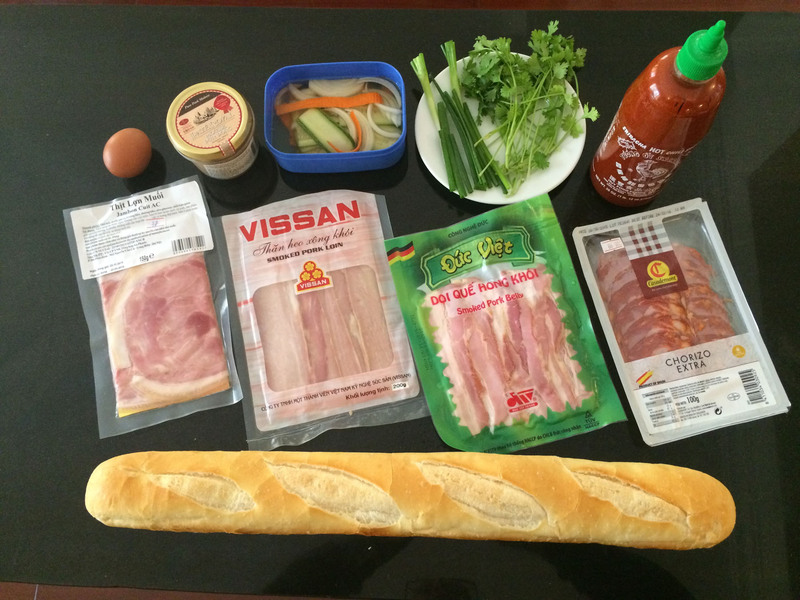 Home made Banh Mi: Step by Step guide | eat me! I am putting this together as my own mental reminder, but also for friends who would like to try and make their own Vietnamese Pork Bomber (if I already lost you, here is an article on Banh Mi and its reputation). 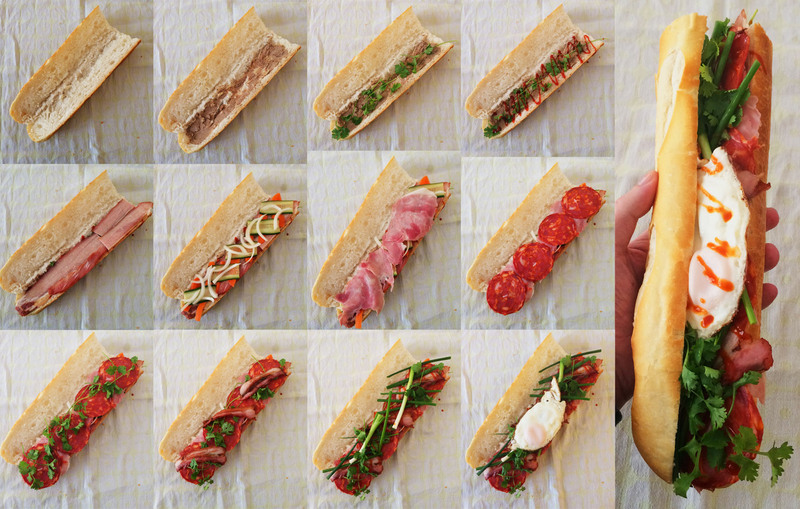 The basics: nice baguette, lots of pork, pickled veggies and herbs .. and hot sauce! Of course I would have loved to use some great bbqued pork pieces, or slices of pork roast .. but I did not have any at hand, which shows how well this sandwich can be ‘faked’. In my humble opinion the flavor comes down to: loads of fresh coriander. Pickled carrot, cucumber, onions (super easy to make at home: mix water with vinegar and sugar, let sliced veggies swim in there for at least an hour). As hot sauce I prefer Huy Fong’s Sriracha. Have fun making your own, share the results!